I recently read an article about how beneficial drinking a glass of lemon water (water with 1 whole lemon squeezed into) first thing in the morning. I have always preached this mostly to my weight-loss clients who were struggling with sugar and salt addictions. Having been previously a sugar addict, and still recovering I know first-hand how well lemon works to re-balance the body. Lemon water seems to take the cravings away, perhaps making your body more alkaline (even though a lemon is actually acidic). I would also use it as a recovery drink if I had eaten bad things it would seem to erase the pattern and help me to curb the addiction. 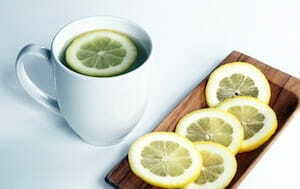 Lemon is also a great cleanser for the body and is helpful to the liver. After I read the article on lemon water I saw another on cayenne pepper and how useful it is to drink a glass of water with 1/4 tsp of cayenne in it. I decided to try both in one glass. It wasn’t that bad. I drank it down quickly and, yes, it was spicy. I felt really good afterwards. I work up with a low grade headache that morning and was feeling a little lethargic but NOT after that drink. It was just what I needed this morning. Given that positive experience I will be trying it each morning. The health benefits of both definitely make it worthwhile. Try this as part of your health regimen each morning and toast to all of us who strive for optimal health! Cheers! 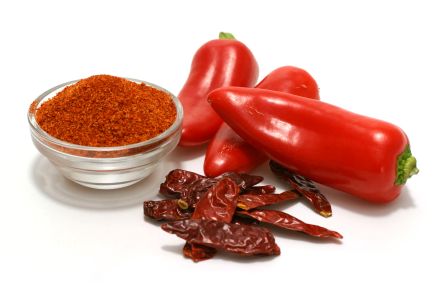 Cayenne peppers raise the body temperature as it stimulates circulation and blood flow to the skin. Herbs that promote fever and sweating are considered to have a diaphoretic (sweat-inducing) action which helps reduce fever and relieves the congestion of colds and sinusitis. The active ingredient in cayenne is called capsaicin and in 2004, Dr. Sanjay K. Srivastava and colleagues (University of Pittsburgh School of Medicine) treated pancreatic cells with capsaicin. They found that it disrupted mitochondrial function and induced apoptosis (programmed cell death) in cancerous cells without affecting normal pancreatic cells! And if cayenne’s cancer-fighting capabilities weren’t enough, its effects upon the venous structure and heart are nothing short of miraculous. Cayenne is incredibly nourishing to the heart and has been known to stop heart attacks within 30 seconds. If you want something in your first aid kit for a heart attack, carry cayenne tincture. In addition to being a welcome addition, there’s also evidence to suggest that cayenne may be useful in the treatment of obesity. Results of one trial showed that consumption of 10 grams of cayenne pepper with meals helped to reduce appetite, while results of another revealed that cayenne increases the metabolism of dietary fats. Lastly, herbalists from centuries past would pour cayenne pepper directly on fresh wounds in order to sterilize and stop bleeding. Many of us (over 90%) have worms or different parasites in our systems. One simple way to get rid of them is to have a “cayenne drink” daily. Fill up a glass with water or juice and then add 1/4 tsp of cayenne pepper. Stir it up and then “down the hatch.” Yes, it’s a bit spicy, but you’ll get used to it.